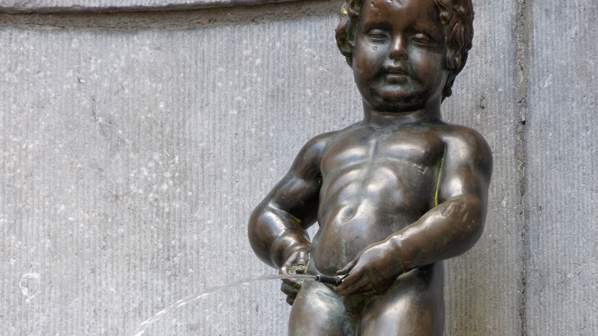 I am not sure what your urine making froth has to do with anything, but as a test of manhood or rite of passage it is piss-poor and fraught with logistical loopholes. So, too, was whether you were wearing “sliders” or not. “Sliders” were initially home-made, elastic-waisted boxer shorts before we had boxer shorts. Then they started to arrive from India or China. But wherever they came from, the fact was that only big men wore them. There was an age barrier but the starting point or entry requirement was never fixed – it was extremely subjective and in some ways attached to behavior. Not wearing them meant that you were not a man and so any adult behavior on your part made you “manish”. Women dressing in men’s clothes or behaving like men were also “manish” but young boys “sooting” or “heckling” or making passes at older women were the quintessence of manishness and sometimes got “licks” or a beating for their presumed premature sexuality. The article cites several examples of manishness including Manish Pandey and Manish Patel, Indian cricketers, and one Manish Dayal, an American actor. He was so manish that he changed his surname from Patel to his grandfather’s surname, Dayal. Manish is manish enough to expect that he will be nominated for a Golden Globe award for “Hundred Foot Journey” a film he has made with Helen Mirren. But when it comes to manishness, a hundred feet is not very long in terms of time or even distance. My father, who started working in the cane fields as an uneducated boy digging more than a hundred feet of para-grass every day, started drinking overproof rum early in his life because that is what the “big men” did. It was extreme manishness and led to the many illnesses that contributed to his death. Now the Los Angeles Times reports that a team led by biologist Matthew Carrigan of Santa Fe College in Gainesville, Florida, reached back into humans’ ancestral lineage to detect where the ability to produce a gut enzyme key to metabolizing alcohol first appeared. They looked for an enzyme known as Class IV alcohol dehydrogenases — abbreviated to ADH4 — in the guts of primates from whose family trees humans diverged as long ago as 70 million years. Carrigan’s team found that the digestive enzyme ADH4, which begins to break down alcohol on the tongue and in the esophagus and continues to do so in the stomach, was first found plentifully in the gorilla, a primate ancestor from whose lineage humans diverged roughly 10 million years ago. It is similarly found in more recent evolutionary ancestors, including the chimpanzee and the bonobo. As the Americans found when they tried to prohibit the public sale of alcohol, it is impossible to do so. Now that we know how far back in time it goes and how long it has been not just with us but with primates, we can understand more clearly why people go ape over it. Their family trees are full of swingers. But then there is also the mystery of why sailors especially respond positively to orders by saying, “Aye aye”. This is something many West Indians, notably Trinis, say or sing generally adding an extra “aye” as in “Aye aye aye”. It seems that in Madagascar there is an endangered species of lemur (something that looks like a cat crossed with a squirrel and a dog) that produces ADH4. It is called the “aye aye”. What the story of the “aye aye” should teach us is not only that beauty is in the “aye” of the beholder but what we would look like after fifty million years of saying “aye aye” every time someone offers us a drink. *Tony Deyal was last told by his nutritionist that he should start on a balanced diet – he can now be seen with a Red Stripe in each hand.